Janome machines are manufactured to the highest standards for years of dependable use. Most Janome machines come with a Factory Warranty that covers mechanical parts for 25 years and computer and electrical parts for 5 years, plus 1 year factory labor. In addition to the Janome warranty, Super Stitch provides 2 years of Free service with any new machine purchase. 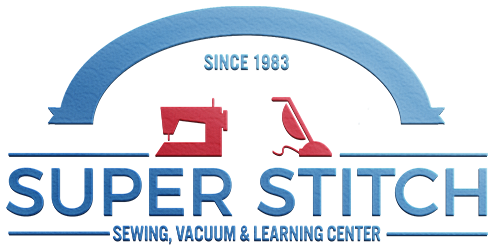 We carry only the highest quality vacuums, not found at mass merchants. You will find only the highest quality products at Super Stitch. We stand behind all our products to make sure you are satisfied with your purchase.